365 DAYS OF GRATITUDE – DAY 237: Hip Replacements Can Be Prevented! Here’s the thing: when someone is told that they have to have a hip replacement, it is not always the case. I have met people who refused to take that route and started instead a healing process that included ELDOA, myofascial stretching, precise segmental strengthening, osteopathic treatment, specific change in diet and proper hydration. It did take time and some effort, but they completely avoided the dangers of an invasive surgical procedure. Now, there are times when the hip replacement might be unavoidable, for example in case of severe fractures or when the damage to the joint surfaces is really extensive. What I am saying is that most hip replacements CAN be avoided. I know that in my bones, so to speak, because I have one hip that would have been headed down the path of surgery had I not discovered ELDOA sixteen years ago. 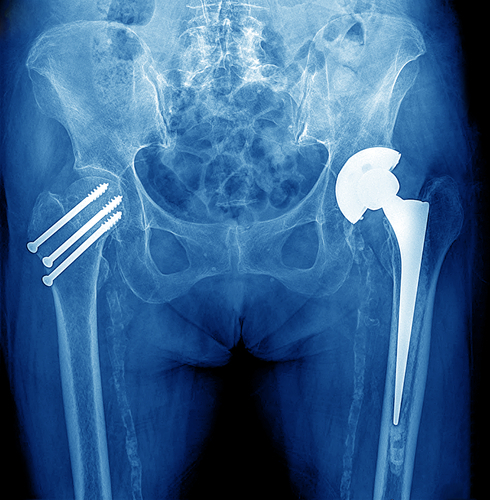 So, my invitation to anyone is this: before you believe that you absolutely must have a hip replacement surgery, give yourself the gift of investigating other possibilities. Our bodies have tremendous innate healing capacity. Would it not make sense to use it? This entry was posted in Uncategorized and tagged 365 Days of Gratitude, Andrew Weil, chronic pain, Dr. Andrew Weil, ELDOA, gratitude, hip replacement, hip replacement surgery, hip replacements, innate healing capacity, invasive surgical procedures, medication, pain, revolutionary method, spontaneous healing. Bookmark the permalink. ← 365 DAYS OF GRATITUDE – DAY 236: Heal Your Spine!